To get our long Thanksgiving weekend off to a relaxing start, we visited Scandinave Spa last Friday. 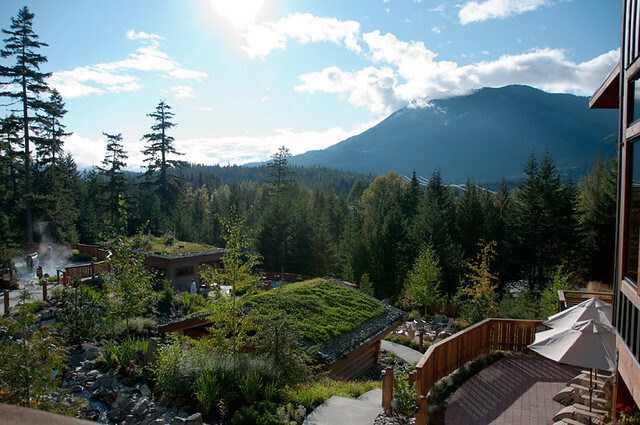 This eco-conscious spa facility (opened in February 2010) features a Eucalyptus steam bath, wood burning Finnish sauna, outdoor hot baths, thermal and Nordic waterfalls, solariums and terraces, relaxation areas and hammocks, outdoor fireplaces, and an onsite bistro and boutique. 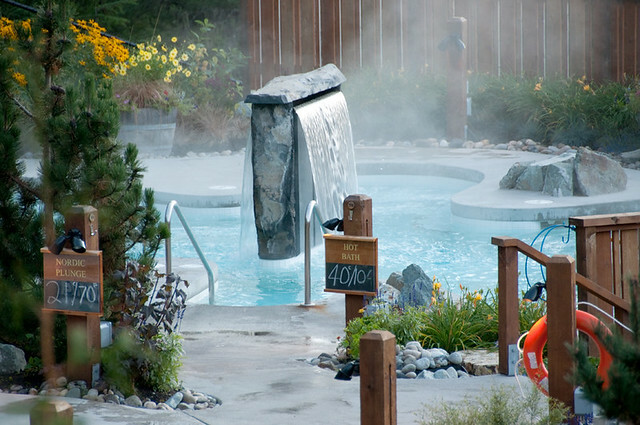 The spa is located about a mile north of Whistler Village and is situated on the edge of both Lost Lake and Spruce Grove parks. 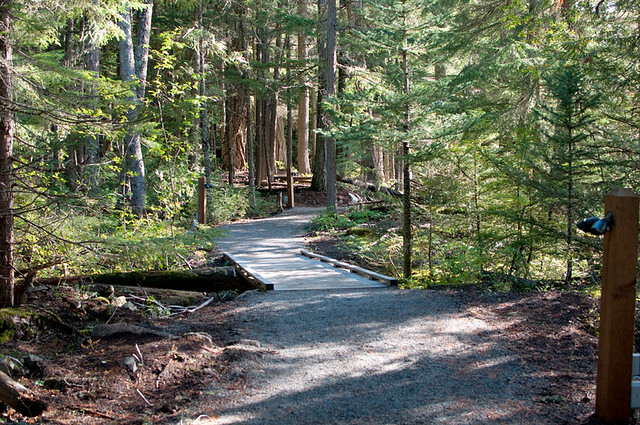 Heading from the parking lot to the entrance, we were greeted by a nature trail and beautiful vegetation. No reservations are required for the Scandinavian bath experience, however if you’re also there to enjoy one of a variety of massages on offer, reservations are necessary. We checked in at reception where we were handed two towels and a lock for the downstairs changing room and showers. The spa conducts a silence policy; you’re asked to sign a paper in agreement prior to entering the baths. Once through the doors to the outside spas and baths, signs are posted in hopes of keeping this wonderful aspect of the spa in check. Although we did hear some conversation from time to time, it was mostly adhered to. Makes a big difference when trying to soak in the heat and steam, or cold plunge of the Nordic baths. There is no set order to visiting the baths, although the Eucalyptus steam room is the first building that we encountered along the way. The strong scent really works down through the skin, opening pores together with the heat generated. Hydrotherapy is known to cleanse both the body and skin, helping to improve blood circulation. Once you’ve brought your body’s heat up in the steam bath, hot baths or Finnish sauna, a cold plunge is considered a good way to continue. Hot to cold, and repeat. Allowing your body to cool off quickly made my skin feel smooth and refreshed, even though it took a few minutes for me to work up the nerve to dive into one of the Nordic waterfalls! 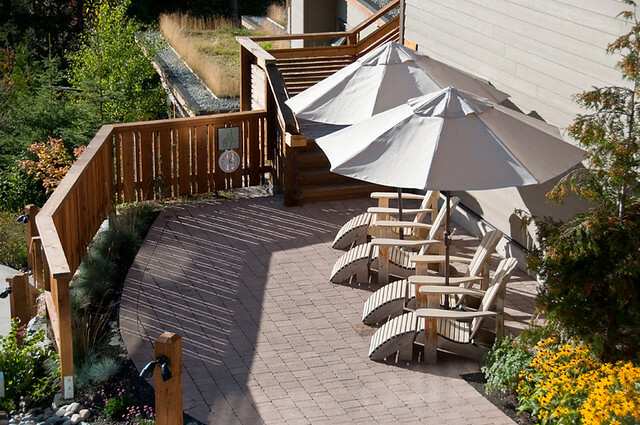 A few relaxation areas are spread around the outdoor area. There’s several seated hammocks with foot rests, chaise lounges, and indoor solariums with magazines for perusing while chilling out. And chill out we did. After a couple of hours, we walked out of there treading on soft, baby-like feet, and enjoyed the effects of the baths long into the following day. I recall my hair being super soft from the waters (I didn’t wash my hair after the baths). 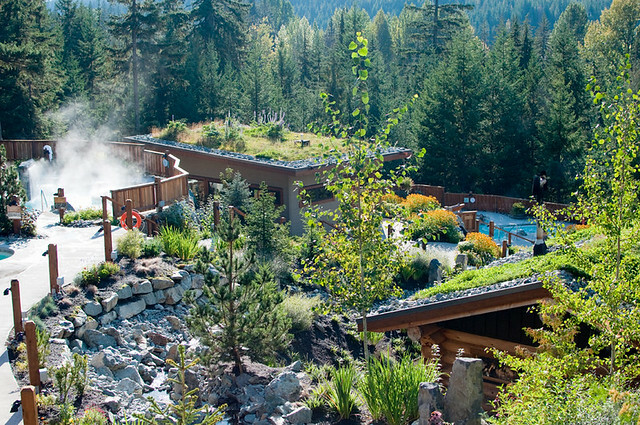 The 20,000 square foot spa is spread out over three acres, overlooking Whistler mountains and gorgeous scenery in the middle of nature. 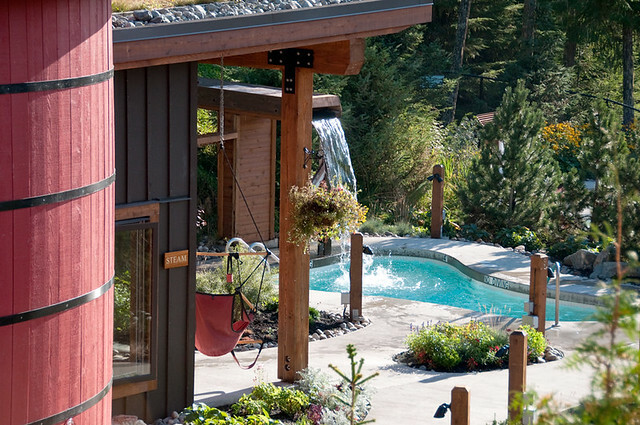 The spa was designed on principles of sustainability and includes green roofs, a high-efficiency furnace, and passive solar heating system. Water-saving shower heads, dual flush toilets, irrigation and controls are all part of Scandinave’s commitment to a cleaner environment. Adding to this, the building is oriented in order to optimize winter sunlight exposure, facing south to create a microclimate enclosure. 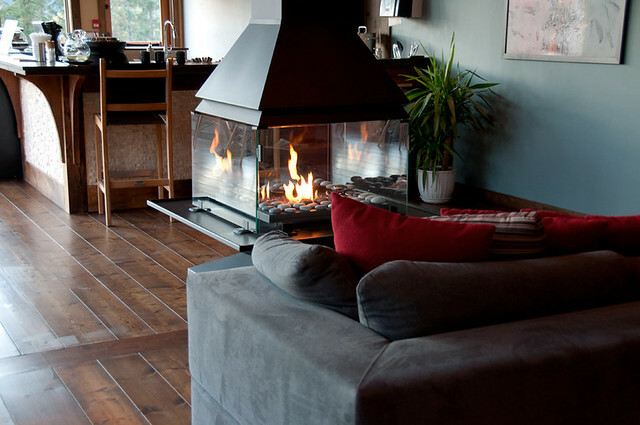 The spa is open year-round, rain or shine, helping to warm the bones after hiking, skiing, mountain biking or just a busy day at work. Scandinave works with local suppliers for its bistro. 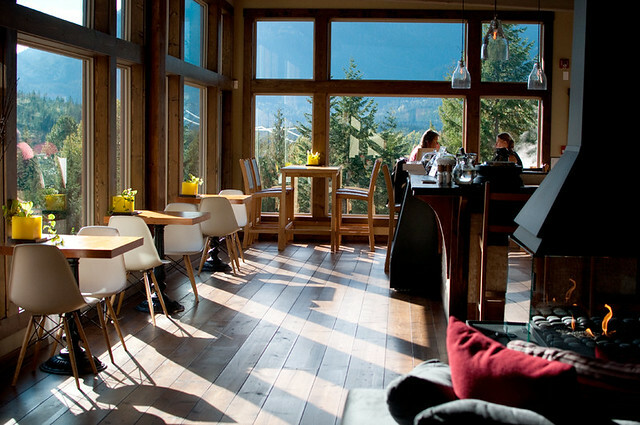 Bearfoot Bistro, voted in 2009 as Whistler’s Best Restaurant, does the catering. 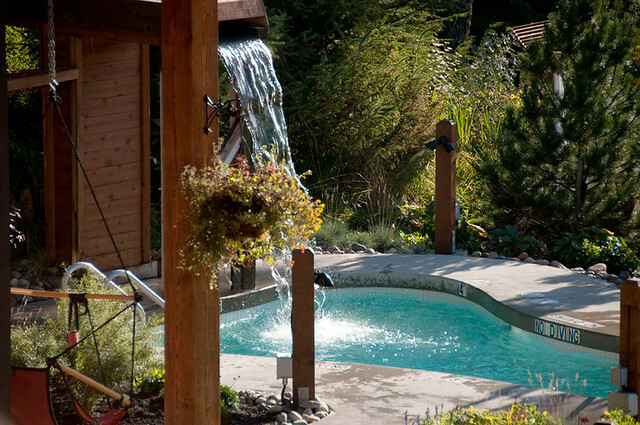 Scandinave Spa is located at 8010 Mons Road in Whistler. Reservations may be booked either online or by phoning 604.935.2424 (1.888.935.2423 toll-free). 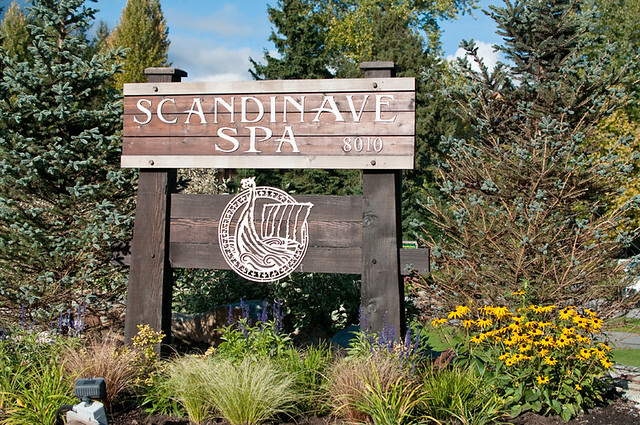 Scandinave Spa’s facilities are recommended for those 19 and older. 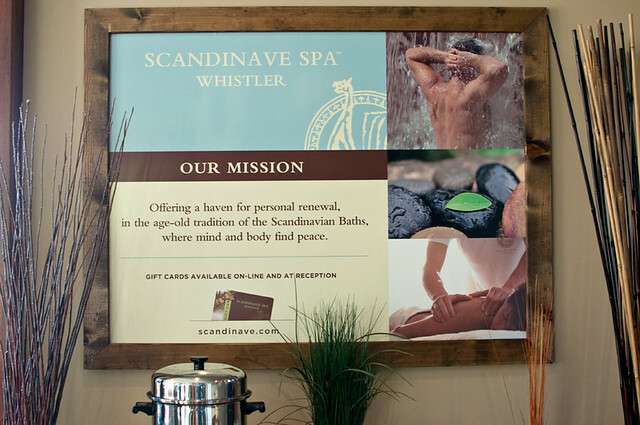 We were guests of Scandinave Spa. Opinions, as always, are our own. 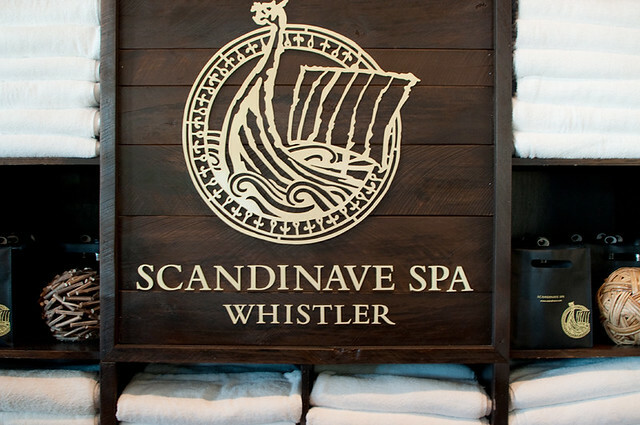 Thank you for visiting the Scandinave Spa Whistler and taking the time to share your experience. Your photos are beautiful! We look forward to welcoming you in the future. We found the scenery so lush! What a beautiful spot to unwind. Glad you liked the photos.